5.5 km NNW of Emerald Lake, west buttress of President Pass. Name Notes: The mountain was originally named Shaugnessy, the president of the Canadian Pacific Railway at the time of the 1906 ACC camp. 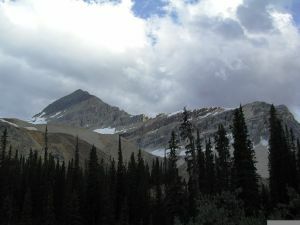 It was later discovered that the name had been applied in the Selkirk Mountains in 1900. So, the mountain was named for the his position instead.